Health Care Assistants are in high demand; in only 6 months you could be earning up to $23 per hour! Monthly intakes, on-line courses, and a variety of schedule options to choose from. 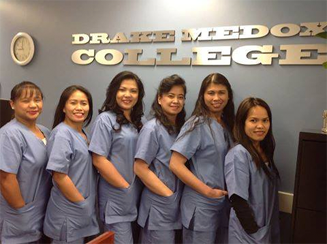 Drake Medox College Health Care Assistant Diploma Program is designed to be in direct alignment with the standards within the Provincial Curriculum for community and residential care aide training in British Columbia. 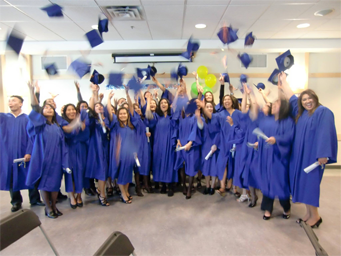 As such, graduates of our program will be eligible to receive a BC Care Aide Registry number. 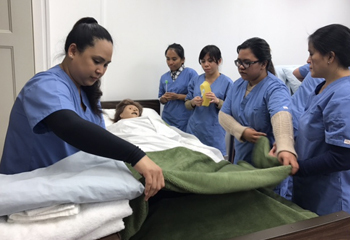 Health Care Assistants may hold a number of different job titles in the workplace including residential care aide, personal care aide and Community Health Worker. Regardless of the title, these individuals are responsible to provide highly personalized care and service to those who cannot fully care for themselves such as the elderly and young disabled. As members of an interdisciplinary team, Health Care Assistants work on the front line completing duties which include grooming, bathing, medication administration, mobility and a long list of other very individualized tasks depending on the clients they are serving. FoodSafe & Standard First Aid / CPR training are included in the cost of all Health Care Assistant Programs. Proof of Grade 12 graduation or equivalent from another jurisdiction, or the student has mature student status i.e. is 19 years or older before the start of classes. Evidence of meeting required English Language competency levels per BCCAR Health Care Assistant Program Recognition. Up to date immunizations as required by practice education experience partners. Acceptable Ministry of Justice criminal record search within 6 months of program acceptance, or evidence to show that a criminal record search has been requested by the program start date. Negative TB test result or proof to demonstrate that the process for acquiring this is in progress. Completion of Foodsafe Level 1 and Standard First Aid & CPR Level C prior to Practicum. These training costs are included within program fees.